HOSTILITIES: Just months into its life, Andersonia was already at war. As Sirocco marks five years since the creation of the Glorious Dictatorial Republic of Andersonia, the Times is opening up its archives to present articles not seen since they were first published in the Andersonian Times all those years ago. 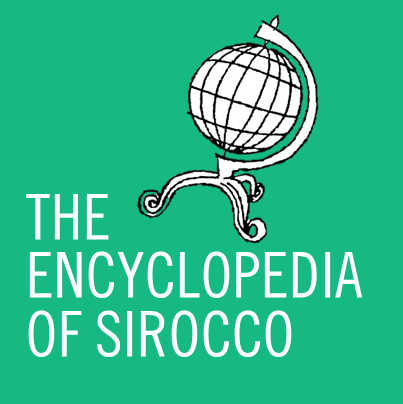 Join us as we take a trip down memory lane to simpler, if stranger, times. Some details will be slightly altered so as to protect the identities of some persons involved – these details are underlined. 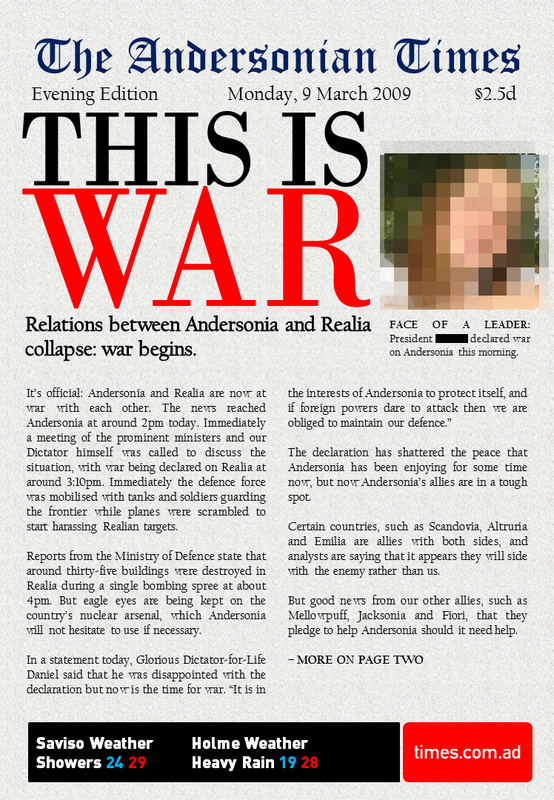 Today’s article from 9 March 2009 is on the breakout of war between Andersonia and Realia (both Internet-based states) is the oldest in existence, and was published in the Evening Edition at a cost of §2 5d. War would be a constant feature of life in Andersonia, and setbacks were few and far between. The war with Realia, while called off eventually, would never see the two sides cool down – right up until the end of the GDR there was still hostility between the two.